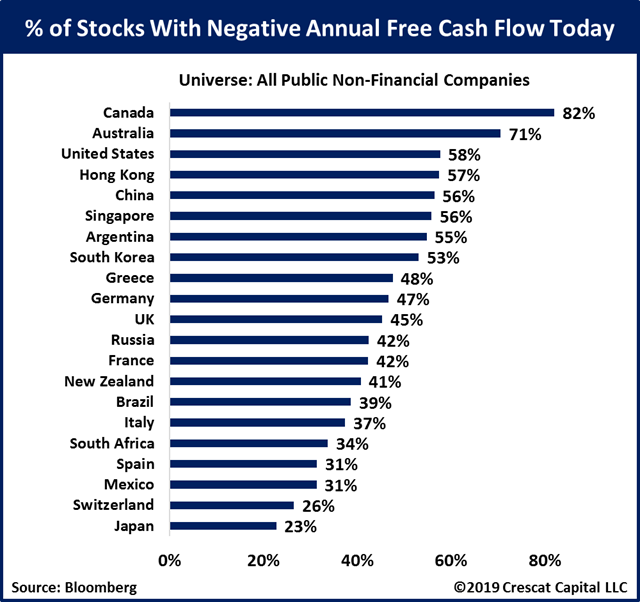 Over 80% of all non-financial stocks in Canada lost money on a free cash flow basis in the last 12 months! Australia, US and Asian countries aren’t too far behind. This is not a picture of a healthy global economy.